Industrial pressure blowers, commercial ventilation fans, high-temperature industrial centrifugal pressure blowers, Buffalo Blower pressure blowers. Axial ventilators with square mounting panel. These fans are widely used in many commercial and industrial places for general ventilation in factories, warehouses, foundry, laundry, agricultural and institutional establishments requiring large volume of air at atmospheric pressure. Made with wall mounting panel or ceiling mount as exhaust or air supply fan. As air circulators these fans are constructed as yoke mount, with pedestal, and mobile with pedestal and casters. Panel prop fans are designed to operate as air circulators and can be mounted in any possible position. Wall mount panel fans are manufactured either as air make-up or exhaust ventilators. Ceiling mounted panel fans - manufactured either as air supply or exhaust ventilators. Pedestal fans or mobile air circulators or mancoolers are propeller ventilators used as air circulators. Manufacturer of I.D. blowers, F.D. blowers, force draft fans, force draft blowers, blow off ventilators / fans, PVC FRP SST ventilators, squirrel cage blower fans, high pressure centrifugal ventilators, Chicago blowers, aluminum fans, stainless steel ventilators, hot air blowers, heating fans, high temperature oven ventilators, high pressure air blowers, squirrel cage blower wheels, Peerless Dayton ventilators, Sheldons blowers, New York fans NYB, TCF, Delhi fans blowers. CBD centaxial fan is designed for continuous duty operation in air moving systems handling clean air. 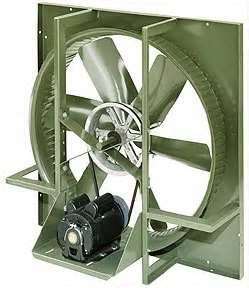 Typical fan applications are industrial space ventilation exhaust or supply, industrial fume ventilation (where a suitable coating has been applied if the fumes are corrosive), air make-up, air conditioning, evaporative cooling, heat recovery systems, or as an exhaust fan on the clean air side of certain types of dust collectors and air scrubbers. Canada Blower CBD features Canada Blower BI backward inclined airfoil fan wheel for non-overloading blower performance, high operating efficiency and low fan noise. The CBD Canada Blower ventilator provides straight-through airflow and can be installed directly in a straight duct having the same size and shape fan inlet and outlet ventilating.com fanblower.com highpressureblower.net industrialblowerfan.com industrialfanblower.net industrialfanblower.com pressureblower.net northernindustrialsupplycompany.com industrialpressureblower.com tenderall.com chicagoblowercanada.com cbblower.com buffaloblower.com buffalofan.com nis-co.com canadianblower.com olegsystems.com canadablower.com abbblower.com acmefan.net industrialblower.net fansandblowers.net americanblower.net barryfan.com cincinnatifan.net canadafans.com barryfan.net pennbarry.net pennfan.net tcffan.com.